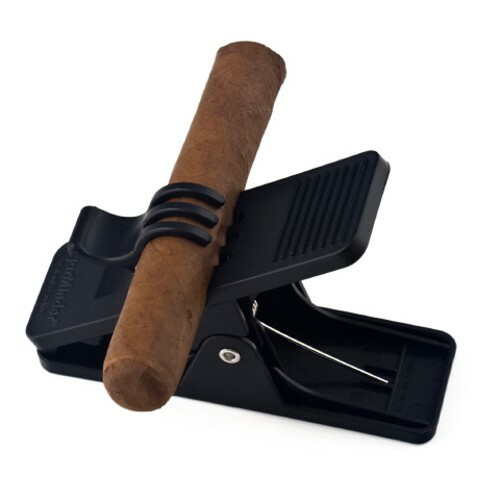 Never break or lose your cigars again with this CigarMinder ProActive cigar clip. Made from a black material, a light pressure spring holds your cigar without damaging the wrapper. You can attach this to your golf bag, push cart, or riding cart for easy, on-the-go access. The vertical holding orientation keeps your cigar lit and in tact while riding around the golf course. In addition, it can hold most cigar sizes up to a 54 ring gauge.